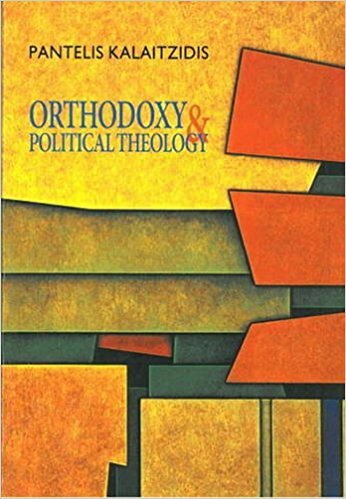 Does the Orthodox Church have a political theology? Is such a thing as a political theology in the Orthodox Church? I consulted a book by Pantelis Kalaitzidis, Orthodoxy and Political Theology, translated from the Greek, and published in 2012 by the World Council of Churches. The straightforward answer is that there is no political theology in the Orthodox Church. Kalaitzidis identifies a number of reasons why Orthodoxy has not developed a political theology, the primary and all-encompassing explanation being the theocratic and caesaro–papist inheritance of Byzantium. As the church became ever more dependent on the state during the Byzantine era, it took on more and more the characteristics of the state and empire. And when the empire fell and many Orthodox nations became part of the Ottoman Empire, the church took over the duties of ethnarch (protector of the racial/national identity) while at the same time ensuring the required loyalty to the Ottoman authorities. In a sense, the Ottoman period was a logical extension and evolution of the Byzantine theocracy. The sole exception was Russia, which was not subject to the Ottomans. There, under czarist rule, the church preserved all the elements of Byzantine theocracy as an arm of the state. The recent resurgence of the Russian Church in the era of Putin is the modern extension of this ingrained tendency in Orthodox polity. After the wars of liberation in the 19th century, two parallel phenomena occurred. On the one hand, the liberated countries fell under the sway of European “Enlightenment” and nationalism. The churches in traditional Orthodox countries, while opposing the values of the Enlightenment, capitulated to the new nationalism. In the words of Kalaitzidis: the church thus seems to be trapped in a purely ethnocentric dimension operating exclusively within history, restricting its mission “to the realization of the fortunes of the race and the nation” (! ), and transforming the preaching about the coming kingdom of God into preaching about national salvation and the preservation of a glorious ethno-religious past. What Kalaitzidis describes has been the situation in Greece since the liberation from the Ottoman yoke. Thus, when the Chutch of Greece attacks globalization and movements of resistance, it is not on theological arguments or criteria, but on cultural and national arguments and the need to defend national independence, language, religious uniqueness, and ethno-cultural identity. An additional factor has been the so-called “return to the Fathers” – meaning the Fathers (but never Mothers!) of primarily the early church and Byzantium. As a result, biblical studies have taken a back seat and thus much of the gospel teachings of Christ about the poor and the weak, the victims of history and oppression, economic injustice, are absent in most Orthodox discourse. The most recent trend in Orthodox churches is an increasing turn inward. This is happening not only in the old-world churches but also in a big way in the Orthodox churches of North America, especially since the expansion of Athonite-style monasteries which foster an introverted form of pseudo-spirituality. There are exceptions to this introversion, but the exceptions only prove the general rule. The Ecumenical Patriarch Bartholomew is one of the few voices in the Orthodox world for any kind of political theology. Though his primary focus has been on the dangers of environmental destruction and global warming, he has also addressed issues of economic injustice, racism – sometimes in fellowship with Pope Francis, with whom he has developed a very close friendship. The Rev. John Chryssavgis has been closely associated with the Patriarch and has edited many volumes of the Patriarch’s speeches, encyclicals and scholarly papers. Most of these volumes have been published in beautiful editions by Fordham University Press. While the churches of the old world have a history behind them that perhaps understandably keep them shackled to an ethno-religious paradigm, the failure of Orthodox churches in North America to move beyond these shackles is especially tragic and inexcusable. It seems they want to carry the Byzantine practice of subjection to the state into the context of North America where it does not belong – or should not belong. Money and fellowship with power become the prime motivators for church statements and priorities. Does Kalaitzidis have anything to propose to make up for this lack that he so accurately describes? I’m afraid not; and thus he perpetuates the Orthodox lack that he has identified. In the second half of his book he repeats the usual patristic/theological affirmations about the church; in other words, he gives us the usual ecclesiology that more often than not contributes to precisely the lack that he describes in the first half of his book! This is the usual cul de sac of Orthodox theology. Eventually everything is reduced to ecclesiology! Even the most aware theologians can’t avoid circling back to the same old, same old. And in the hands of Orthodox theologians – even the best intentioned – ecclesiology becomes ecclesiolatry. And when you have ecclesiolatry, you don’t need a political theology! You don’t need anything that reminds you that there is a world outside the church, the world of gospel imperatives. 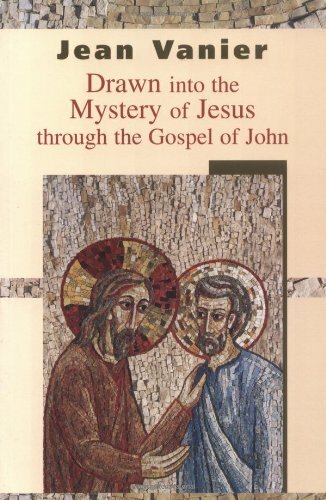 When your vision is the vision of the self-perpetuating church, everything – including the gospel imperatives of Jesus – becomes sacramental and wrapped up in “the mystery of the world”. It is my urging that a serious Old Testament student, situated in an ecclesial community, has a responsibility to do careful reading of the Old Testament and to present to the ecclesial community not only those readings that confirm church theology, but also (and perhaps especially) those that clash with, challenge, and undermine seemingly settled church theology. It is my judgment that church theology as commonly practiced is characteristically reductionist concerning the Bible, that it engages in providing settlement and certitude. Such reading may be disturbing and unsettling to “the world,” but it provides a coherence for the faithful. Ecclesiolatry results when the church becomes “the world” – that world, the one that is unsettled and disturbed by the gospel. And let’s make no mistake about it, the so-called “Old Testament” is as much gospel as anything in the New Testament. As I like to say as often as I can, there is nothing “old” about the Old Testament! The Old Testament insists that there is a moral shape to the public process that curbs the raw exercise of power. It equally insists that there is a hidden cunning in the historical process that is capable of surprise, and that prevents the absolutizing of any program or power. Thus at the edge of an Old Testament theology, we must ask about the ways in which this odd text might make a difference in the large public crisis in which we are all, willy-nilly, involved. Only in a serious encounter with the entire biblical witness is a political theology even possible. The Orthodox churches have failed to do this beyond returning to the Fathers and their dogmatic, canonical interpretations. I will stop these reflections here and continue another day. I’ve only began to scratch the surface of this theme. I hope to continue my thoughts another day. Categories: Global Visions, Radical Christian Thoughts, Theology | Permalink. Every time I turn to the Journals of Henry David Thoreau, I always find the wisdom that I need in my life and is so sadly lacking in our world of experts and talking heads. Here is a sampling from my perusals today. I have just been through the process of killing the cistudo for the sake of science – but I cannot excuse myself for this murder, and see that such actions are inconsistent with the poetic perception, however they may serve science, and will affect the quality of my observations. I pray that I may walk more innocently and serenely through nature. No reasoning whatever reconciles me to this act. It affects my day injuriously. I have lost some self respect. I have a murderer’s experience in a degree. This is how deeply Thoreau cared about the life around him – not just human life, but the life of all living beings in nature, no matter how seemingly insignificant. Every time I see magnificent animals in the wilds of Africa and Asia killed by poachers for profit and to satisfy the immoral desires of rich Americans and Chinese; every time I see images of wounded and abused animals here in our towns and neighborhoods; I wonder how horrible human beings are. Nothing of his troubled conscience troubles us, as we place the needs of our “lifestyle” above the survival of the very planet that is our home. No wonder Saint Paul wrote in his letter to the Romans, “all have sinned and fall short of the glory of God” (Romans 3:23). 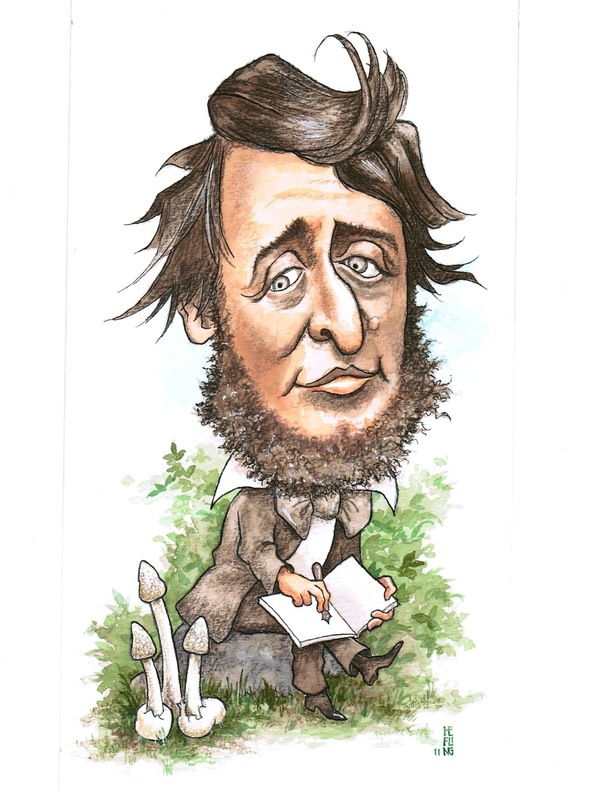 “I pray that I may walk more innocently and serenely through nature,” Thoreau wrote to himself. Who among us prays such a prayer? In Julius Smith’s yard a striped snake (so called) was running about this forenoon and in the afternoon it was found to have shed its slough – leaving it halfway out a hole, which probably it used to confine it in. It was about in its new skin. Many creatures – devil’s needles, etc., etc. – cast their sloughs. Can’t I? Indeed, Why can’t I? Why can’t I cast off the old nature and put on the new? Isn’t that Christ’s teaching? Aren’t those the words we pray at the Sacrament of Baptism? Are they just words? Is baptism just a ritual, just a photo op for a baby and godparents and parents? Does anything still have meaning in what we do as a church? Why can’t I? Why can’t we cast off the old and put on the new? Are we really Christians? Or just pagans in church disguise? And one more entry, this one for August 21, 1851. A beautiful philosophical reflection on our bond with nature and all life – though Thoreau sees it more in animals rather than human beings. How do we relate to the animals and plant life that we feed on? It is remarkable that animals are often obviously manifestly related to the plants which they feed upon or live among – as caterpillars – butterflies – tree toads – partridges – chewinks – and this afternoon I noticed a yellow spider on a goldenrod. As if every condition might have its expression in some form of animated being. 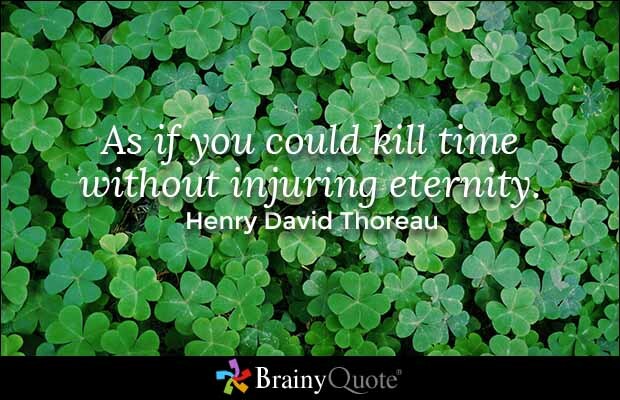 Categories: Global Visions | Tags: bond with nature, earth care, Henry David Thoreau, old nature | Permalink. The second time he goes to an asylum where rejected people are lying around unwanted. This is also his Father’s home. Jesus is calling his disciples to follow him as he goes towards the most rejected of people. He is revealing that he comes to heal the paralysis of our hearts and to lead us all into life. That is an excellent way to introduce the Gospel pericope of the paralytic’s healing in John 5:1-15. The pool of Bethesda with the magic waters evokes picturesque images. But an asylum is what it really was – a place of abandonment, where parents left their children when they could not cope with their illnesses or handicaps. In that time, children born with a severe handicap were seen as punishment from God. People today still believe such things. People believe that God punishes people by bringing illness or other disasters into their homes. The man has no friends, no family. He has no hope, even when Jesus asks him if he wants to be healed. He lives by superstition, belief in magic. Abandoned, loveless people resort to magic and superstition. Jesus wants nothing to do with that. He heals him. But the man is still not truly healed, as I will explain. This is always the struggle. We want to worship God in spirit and truth, we want to step out into the wide open spaces of healing and wholeness, but we are held back by religious boundaries, political walls, and superstitions. We are afraid. The man in today’s reading was afraid, even after his healing. When Jesus says to him, “See, you are well! Sin no more, that nothing worse happen to you,” he is not implying that he was paralyzed because of sin. He is saying, You are whole; don’t go back to the fragmented ways of old beliefs and superstitions. Does he understand Jesus? It’s questionable. He goes right away to the religious authorities that had questioned him and revealed Jesus to them. That’s how strong allegiance to politics and religion can be. It’s questionable whether he was really healed. The darkness is still around us – and not all from outside sources, as our politicians and religious leaders would have us believe. But Jesus is still working. 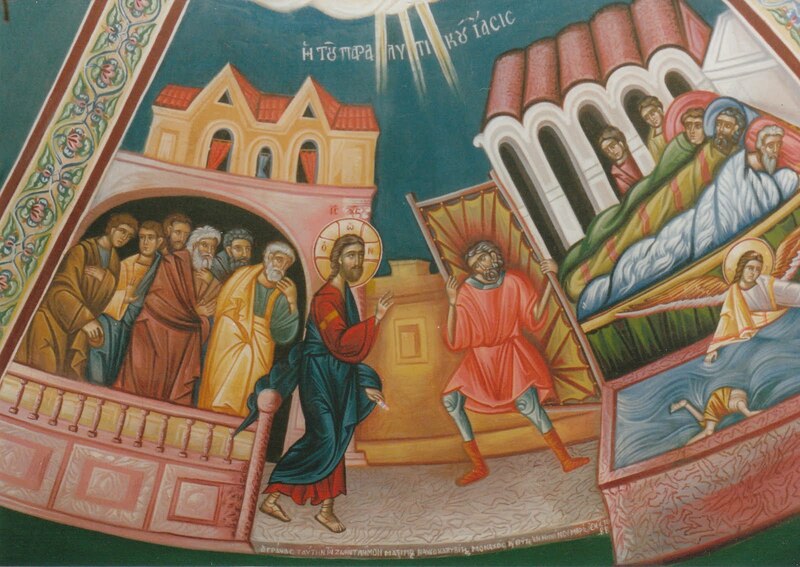 Immediately after the healing of the paralytic at the pool, John goes on to tell us how Jesus answered the religious leaders who were hounding him, “My Father is working still, and I am working.” Knowing that Jesus is still working, keeps me going. He is still the light that shines in the darkness; he is your life and my life. Categories: Sermons | Tags: God at work, healing of the paralytic, Jean Vanier, Jesus working still, spirit and truth | Permalink.